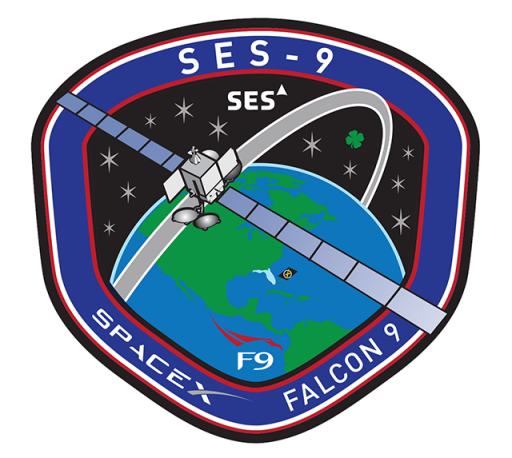 SES-9 is a commercial communications satellite operated by SES S.A. headquartered in Luxembourg. As a high-capacity satellite, built by Boeing’s space division, SES-9 will deliver a variety of services to up to 23 million households in the Asia-Pacific Region, serving rapidly expanding TV markets and delivering data, video and mobile communications services. The SES-9 satellite, to be stationed at 108.2°E, carries an all-Ku Band payload to deliver Direct-to-Home television services, extensive mobile backhaul reaching remote locations, VSAT services, and mobile communications services with seamless coverage across frequented aeronautical and maritime traffic routes across the Indian Ocean and Asia-Pacific Region. 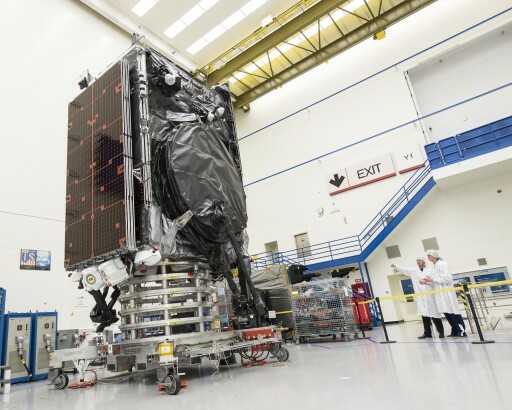 Outfitted with high-powered transponders, the satellite can deliver high-bandwidth in-flight connectivity applications. 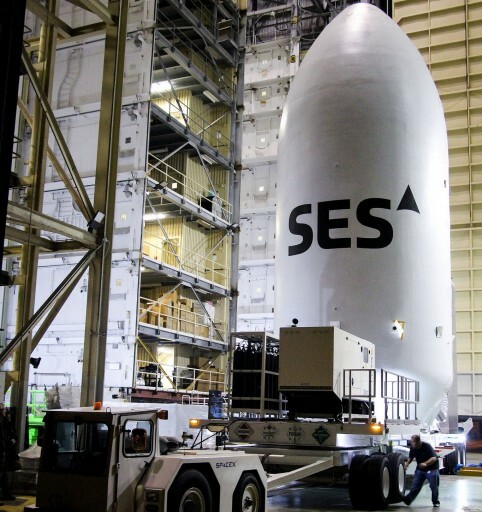 The spacecraft will be stationed in SES’ video neighborhood, co-located with SES-7. The satellite can deliver flexible DTH services with beams featuring concentrated power for high-population density areas. Data coverage supported by SES-9 includes mobile backhaul services in remote locations such as mining facilities, oil and gas rigs. 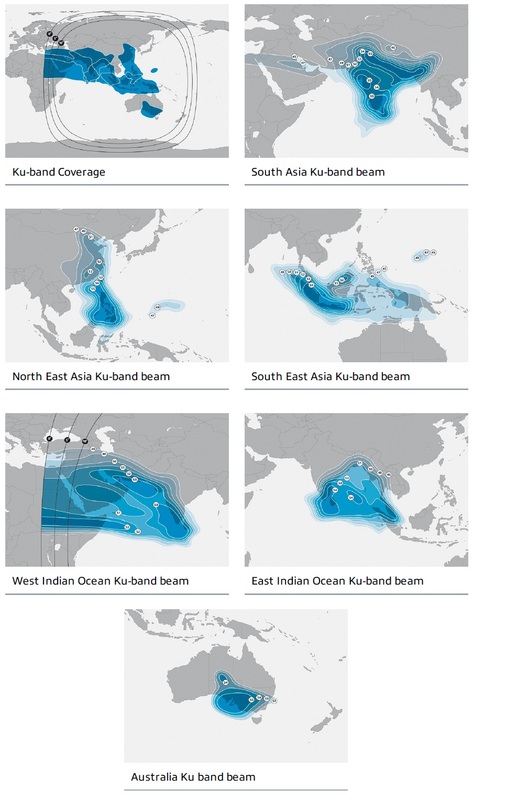 SES-9 delivers mobility services across the Indian Ocean from the Horn of Africa to Australia with a focus on seamless communications with high-powered transponders to accommodate high-bandwidth applications. The SES-9 satellite hosts 57 high-power Ku-Band transponders, equivalent to 81 standard 36 MHz transponders. 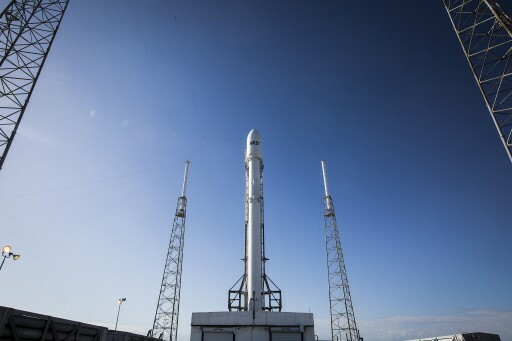 Total payload power is 12.7 Kilowatts. 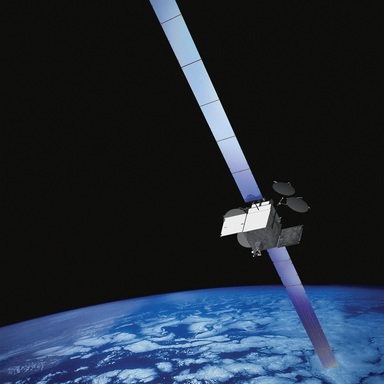 The contract to build SES-9 was awarded to Boeing Space Systems in late 2012, becoming the 11th satellite SES ordered from Boeing. 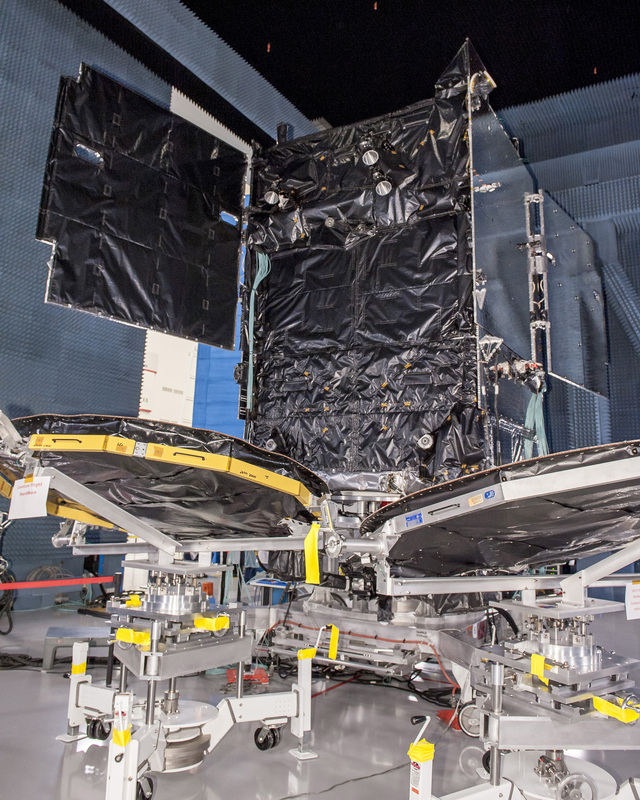 Weighing in at 5,330 Kilograms, the SES-9 spacecraft utilizes Boeing’s BSS-702HP high-power satellite platform that can support the most powerful communications payloads with state of the art onboard systems including precise pointing capability and the use of flight-proven components and built-in redundancy to ensure the satellite meets its in-orbit lifetime of 15 years. The two deployable solar arrays each have five wings that are covered with ultra triple-junction gallium-arsenide solar cells which deliver a beginning of life power in excess of 14kW. Power is stored in dual Lithium-Ion batteries and dedicated avionics regulate the main power bus of the spacecraft to provide power to all subsystems of the satellite bus and the communications payload. SES-9 combines a chemical propulsion system in use for the initial climb to Geostationary Orbit with an electrical propulsion system to fulfill stationkeeping tasks and extend the satellite’s lifetime beyond that of pure liquid-fueled spacecraft. Typically, 702HP is equipped with a 490-Newton bipropellant apogee motor for the climb into Geostationary Orbit. In addition, the satellite uses four axial 22-Newton Thrusters and four radial 10-Newton thrusters for smaller orbit adjustments, drifting in Geostationary Orbit and attitude maneuvers. XIPS, the Xenon Ion Propulsion System, has flown on numerous spacecraft and is ten times more efficient than the conventional chemical propulsion systems, the only disadvantage being the low thrust that can be achieved with the system leading to a longer time frame needed between launch and Beginning of Service. Ion thrusters generate thrust by accelerating ions through the use of an electric field and ejecting these ions at extremely high velocity creating thrust force propelling the spacecraft forward. Although ion thrusters deliver a very low thrust, they are extremely efficient and consume only a very small amount of propellant. The method of ion acceleration varies between the use of Coulomb and Lorentz force, but all designs take advantage of the charge/mass ratio of the ions to create very high velocities with very small potential differences which leads to a reduction of reaction mass that is required but also increases the amount of specific power compared to chemical propulsion.